Day by day technology is getting better and every second people are working to come up with something new. The ideas might be same, but there is always that “Special thing” that makes the idea worth the time spent. Bpartner solution’s ”Mobilitics Suite” for the retailers developed with a deep understanding of what the retail owners need when they are out of shop, and to make all retailers dynamic in their own business. It just takes few days or months to become a Retailer. All it requires is Time, Money and some amount of retail knowledge. It doesn’t stop there. The retailer should become a Dynamic retailer in order to sustain in the market. 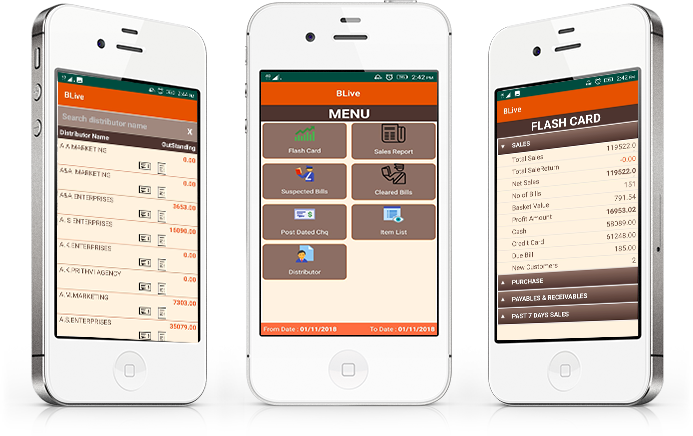 “BLive – Business live” android APP is the part of Mobilitics Suite which focus on the three main aspects of Mobile Analytics Viz. “A” , “B” and “C”. Always connected Either at home or outside, the retailer must know what is currently happening in the store and should get the instant information at a click of a Button! Yes, this app focuses mainly on easy access to data without compromising on the security. The retailers just have to install the app and start using it by just running the app. No More Login! No more passwords! Mind you there is no compromise in the security at all!. Being Empowered To, increase productivity, to understand the current trend and also to take instant decisions, the information will be ready in your hands in a changing environment to reach to the full potential. Creatively Proactive To take right decision at the right time with the right data is what makes one Dynamic Retailer. With access to critical information the retailer can anticipate the trend, find out the performance matrix and also will have the GENUINE 360 Degrees view of his business.